Life in Traverse City, Michigan, is good for brothers Marcus and Michael G-Baby Dickerson. But when tragedy befalls G-Baby in the form of leukemia, an immediate bone marrow transplant is his only hope of survival. 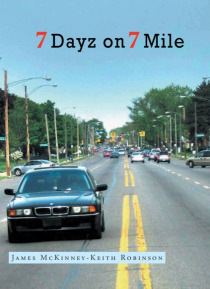 As both Marcus and his grandmother have tested negative as possible donors, Marcus must locate the boys long-lost fatherknowing only that he works on 7 Mile in Detroit. Terrell T.J. … Johnson has his own time-pressing dilemma. T.J. borrowed $25,000 from a local street hustler to start his own business. The money must be paid back with interest in 7 days. Neither realizes what a difference a week can make.